Dover, New Hampshire – January 31, 2019 – Bank of New Hampshire is pleased to announce that Michelle Blake has joined their Dover office as Assistant Vice President - Banking Office Manager. Michelle has more than 15 years of experience in the banking industry and joins Bank of New Hampshire with a broad knowledge of customer service and retail banking with a strong emphasis on training. In her capacity as Office Manager, Michelle will be responsible for the overall management of the office’s deposit portfolio, customer relationship management and new business development. 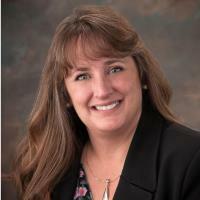 In addition, Michelle will oversee office operations, security, staffing and sales. Michelle is an advocate for supporting local non-profit organizations and is currently the President and past Treasurer of the Belmont-Gilford High School Ice Hockey Booster Club and is a volunteer on the Gilford Old Home Day Committee. She is also a past Treasurer of the Squam Lakes Chamber of Commerce and looks forward to getting involved in the greater Dover communities. She can be reached in the Dover office at 845 Central Avenue, via phone at (603)527-7231 or by e-mail atBlake@banknh.com. Bank of New Hampshire, founded in 1831, provides deposit, lending and wealth management products and services to families and businesses throughout New Hampshire and southern Maine. With 24 banking offices and assets exceeding $1.6 billion, Bank of New Hampshire is the oldest and one of the largest independent banks in the state. Bank of New Hampshire is a mutual organization, focused on the success of the bank’s customers, communities and employees, rather than stockholders. For more information, call 1-800-832-0912 or visit www.BankNH.com.